Matthew S. Angell is the shareholder in the firm and practices Real Estate Law, Business Litigation, Civil Litigation, and Probate Litigation. Mr. Angell works closely with all of The Angell Law Firm, P.C. clients to ensure that their experience with an attorney is not overwhelming and confusing and is in fact productive and reassuring. Mr. Angell believes that people who need attorneys are seeking increased knowledge about the legal process overall, and would like to understand and participate in finding a beneficial solution for their situation. Ultimately, the client makes the decision on how to proceed after carefully considering the advice of counsel. Mr. Angell believes in strong advocacy at all levels of representation. A real estate purchase, whether it is residential or commercial, is often the largest purchase a person will make. Mr. Angell has guided many clients through the maze of purchase contracts, disclosures, leases, and the manner in which the title to the property is held. Protection of your home or rental property is a key to ensuring a client's financial future. Mr. Angell handles neighbor disputes, broker liability issues, disclosure issues, obtaining financing, boundary line disputes, easement issues and landlord-tenant disputes. In addition, Mr. Angell works with industry experts in the fields of Financing, Appraisal, Inspection and Sales. He is a trusted source of collaborative and referral information in an effort to assure all facets of his client's needs are met by the best in the Industry. In partnership with his business clients, Mr. Angell has formed numerous companies since 2001. Whether it is an S Corp, LLC, Limited Partnership, or a California General Partnership, the goal remains to protect and preserve the clients' interests, shield them from any excessive liability, and preserve wealth. His continuous support and accessibility for his clients has resulted in solid long term business relationships contributing to his clients' success. Mr. Angell's extensive knowledge and experience ensures that every client of the Angell Law Firm has the necessary knowledge of the facts and the law in order to make an informed decision regarding what is best for them. 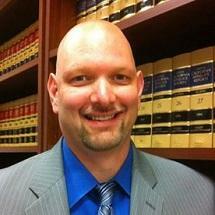 Mr. Angell earned his Juris Doctor from McGeorge School of Law, University of the Pacific. While in law school, Mr. Angell interned at the San Francisco District Attorney's Office, the Sacramento District Attorney's Office, the Youthful Offender Parole Board, and the Department of Toxic Substances Control under the Assistant Chief Counsel. Mr. Angell is licensed with the California State Bar and admitted to the United States District Court, Northern and Eastern Districts. When he is not working, Mr. Angell likes to spend time with his wife and two daughters and gives back to the community through his membership in Diablo View Rotary.